Thanks for the visit! 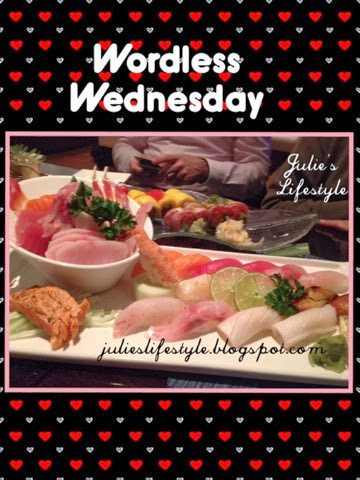 You have a delightfully pretty blog Julie!! Great photo, Julie! And everything looks so tasty :) Hugs, my friend! I bet that was a popular spot to grab a bite to eat. :) Happy Wordless Wednesday. I'm so glad we connected and that you could join us for Wordless Wednesday at Create With Joy this week! I'm so glad to see you at Friendship Friday too. I hope you have a delightful weekend!